2. 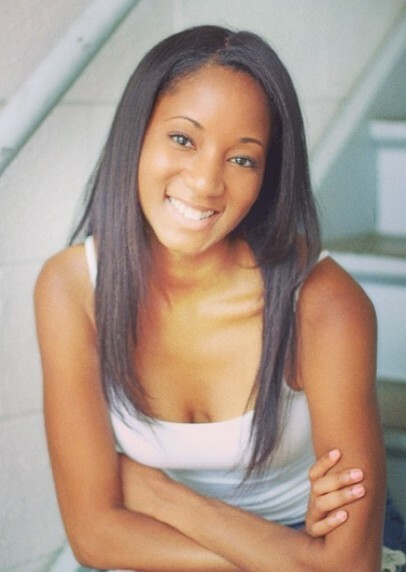 This light yaki hair is popular relaxed hairstyle in African American hair, absolutely mimic African American. Very natural looking! 3. 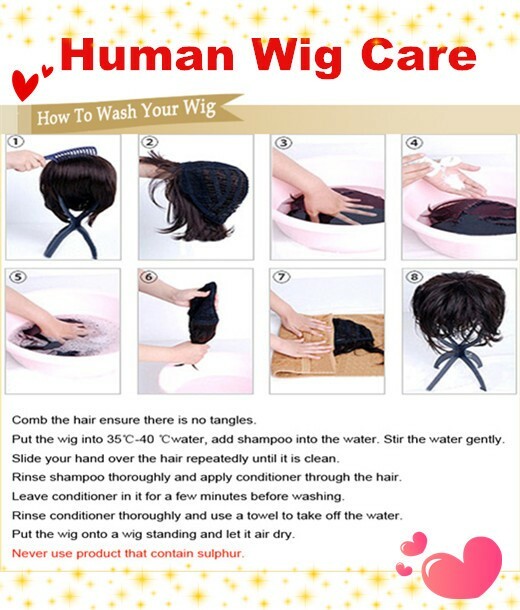 It is completely human-made wig. 16inches, #1b, natural looking relaxed hair!! Bleached knots in the perimeter, beautiful yaki texture!! 2018-11-08 Lakela .... Very satisfied with the purchase, communication was out of this world, Lity knows how to make customers happy, shipping was so quick, will sure buy again! 2016-10-11 Nasrine .... Hello, i love this wig, this the best wig that i have bought in comparison witz other web site. i live in France and shipment was very fast (3 days)!! Customer service is perfect and they answer you very quickly , i'm very satisfied and i'll always buy my Wigs here! Thank you so Much. 2016-07-22 Helena .... Hello, I have received my lace wig (BW0190). I have tried it on briefly & it looks just like i hoped it would. Thank you for delivering it in such a timely manner! 2015-10-08 nicole .... I'm sorry but I did not like this wig. It tangle after the first 3 days I got it. The hairline is unrealistic and the silk top is very thick. The shipping was fast but sending it back is not worth the hassle. A waste of 300. The customer service very good but I will not purchase this wig again. Maybe the curly units are better. 2015-08-26 Alaima .... The hair is super soft and seems of good quality. I ordered 12 inches because I wanted to cut it into a bob. But the unit I received is incredibly THIN. It says 120% but it looks like 80%. The only good thing about that is that around the cranial it looks very natural. Not thick and puffy like most wigs. But the ends are literally see-through. YES it blows in the wind like one reviewer said. But that is because there is very little hair on the unit. 2015-08-19 Sharon .... Janette, I am exchanging my Indian Remy 22" @150 density for the Indian Remy Yaki @150 density only having the backing hair at 6-7 inches long so it doesn't look so split endish all over as the first one I got. The hairs were sticking up making the unit look frizzy from top to bottom @the 22" length. Since getting this in January 2015 to now August 2015 have you experienced a lot of shedding? 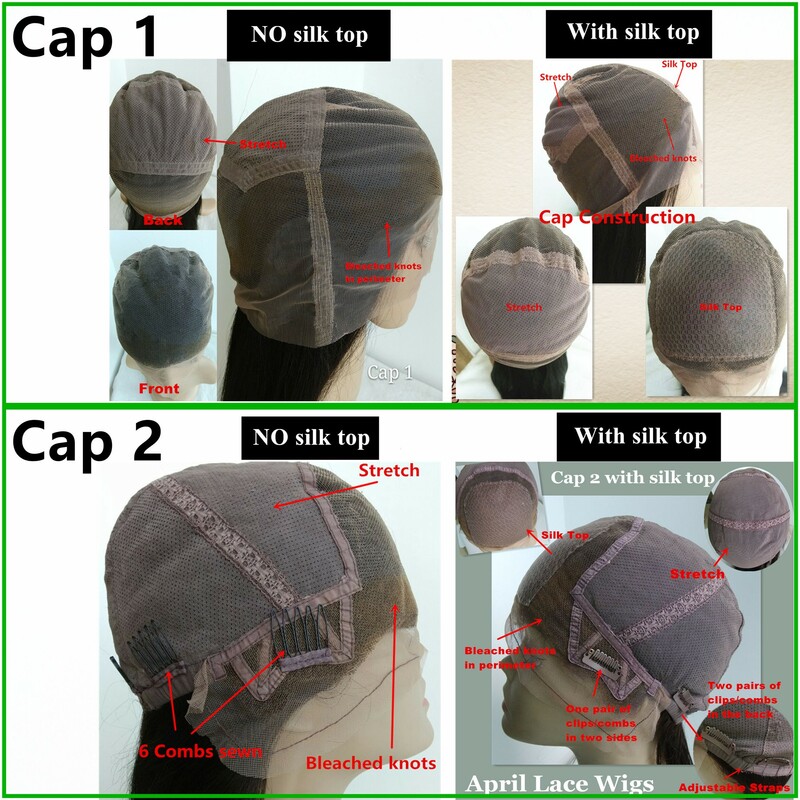 Which cap did you get #1 or #2 and did you get Bleached knots? 2015-06-30 Justine .... I ordered this wig like month ago and the only thing I can say is that this unit is amazing. I have slept in this wigs like for a weeks (24/7) and have washed it a couple of times, i had used the straightener many times and lot of things to this wig and it's still the way it was from the beginning, yes its sheds a little and tangles, but that doesn't bother me. 2015-01-15 Angelina .... I have a glueless12 inch color #1. The shipping was fast & I got combs instead of clips. Looks great at first but after wearing it for about a week, it sheds SO MUCH throughout the day.There is gobs of hair everywhere. Mind you I use the proper brush. The hair tends to bunch up in the combs in the back of the wig. I haven't washed it yet, so no telling how much more hair I will lose. I don't know what will happen with this wig in a months time. If I do decide to purchase another unit, it won't be this one. 2014-12-06 Alicia .... I purchased this unit and I love it. It is beautiful! 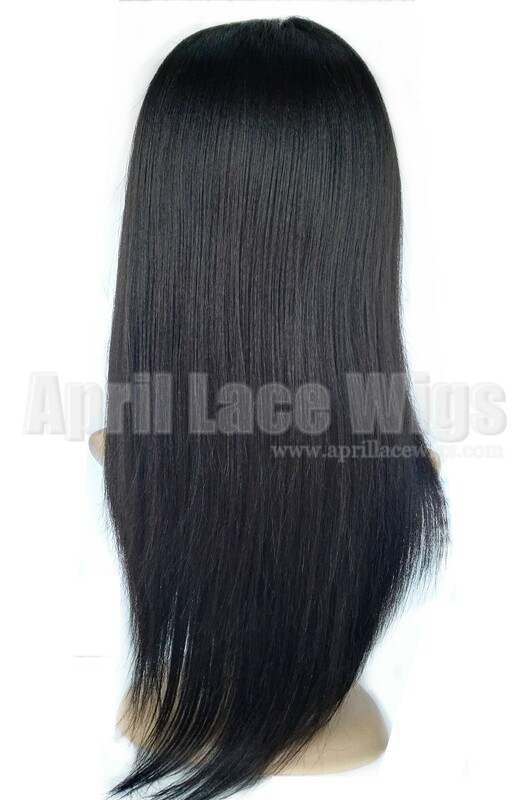 The hair does not tangle and I will continue to order from April Lace Wigs! 2014-04-05 kesha .... Just got this wig yesterday! Was my first time buying a wig ! Gr8 customer service ! 2014-02-12 Raquel .... I just got mines today... Very fast shipping ...ordered on Friday received on Tuesday!! But I am beyond disappointed in this unit. It is nothing as the picture it is super thin in the top and no matter how I part it on then lace top there is tons of flyaways. I wanted to order more if I liked this one. But I am afraid I will not get what is listed as the pic!! Such a shame!! 2014-01-26 Brittany .... I was hesistant to purchase this unit as it was my very first one however I'm very happy with my purchase. It came as advertised, exactly what I wanted! 2013-12-31 Idowu Okheren .... Wonderful hair, looks real with nice texture that blends with natural hair. loving it. As a wholesaler I depend largely on my clients for feedback. So far good reviews. More orders for longer lengths on the way. 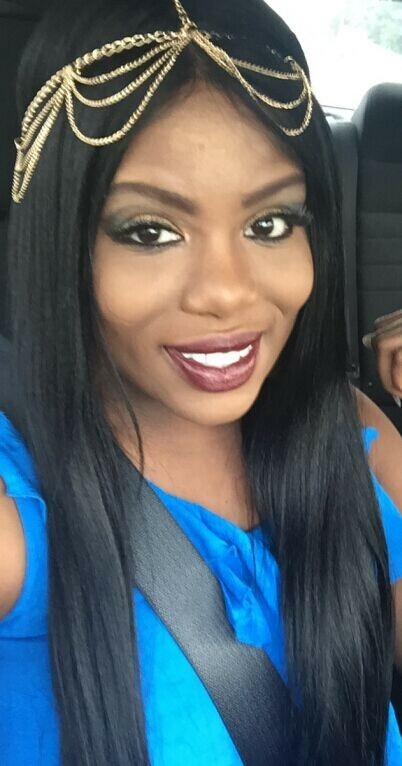 2013-09-13 LaTisha .... 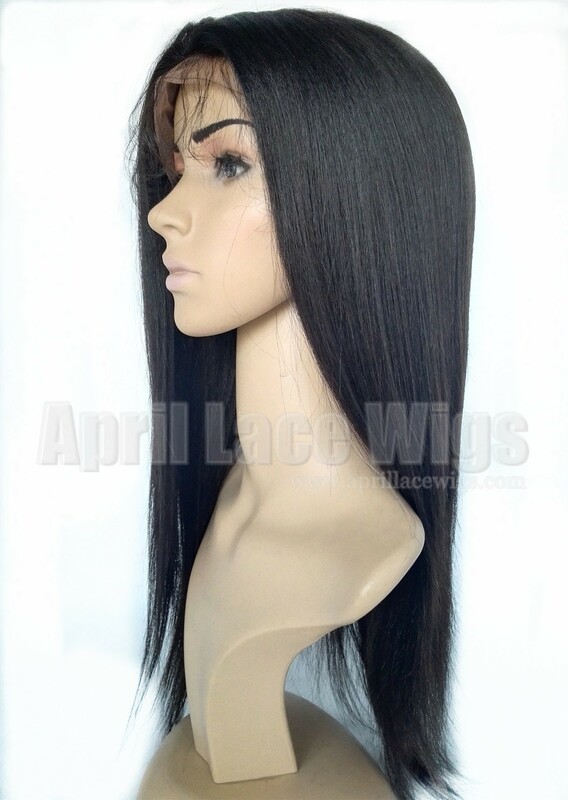 This wig is amazing.I ordered the glueless remi yaki in 16 inches with a silk top and my cap size was medium with a medium brown cap color. The length is true and the color 1b is so natural. I love that when I part it I can pull out natural hair around the sides and it blends right in. Its a great investment for the price!! Customer service is great! I live all the way in va and Alw responds right back. And my wig was here in 3 days all the way from China! 2013-06-01 Kavana .... 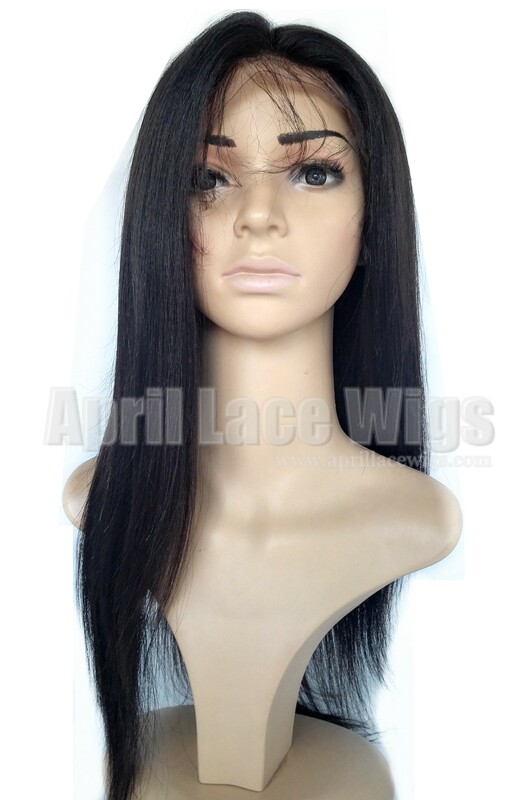 I'm a first time buyer of a full lace wig, so i was very skeptical about paying near $300 dollars for this unit.. I ordered on 5/27 & it was delivered on 5/30 (which i missed) & received it the next day (5/31) So shipping was super fast. Customer service was great. Any comments i had, they answered within 24 hours.. Now the wig itself is GORG! I ordered a 16" flw in the color #1 with a silk top. It was true to length, the right color, came w/ silk top & bleached knots around the perimeter of the wig. its very rough feeling at first (maybe because of the shipping and handling) but once i combed through her she was so soft & light. Lots of body and movement. She straightens well! DONT GET ME STARTED ON THE SILK TOP!! looks like its growing directly out of my scalp, & i've yet to glue it down. can u believe it? Minimum to no shedding. I would advise using a wide tooth comb when combing through this unit. It's a thick head of hair, which is wonderful. The hairline & nape is so well done. I could go on about this wig for days! I can't wait to glue her down, I'll look amazing on my Graduation day. Thanks so much April! 2013-04-19 Amanda .... Luv this unit!!!! I tried the unit on fresh out of the box and I feel in love. It is soft, shiny, and silk top is awesome. I was nervous to order and took me 2 days before I finally decided to give it a chance and I'm glad I did. Will be ordering again!!!! Good job LWF!!! 2013-01-10 tascine .... I have to agree. 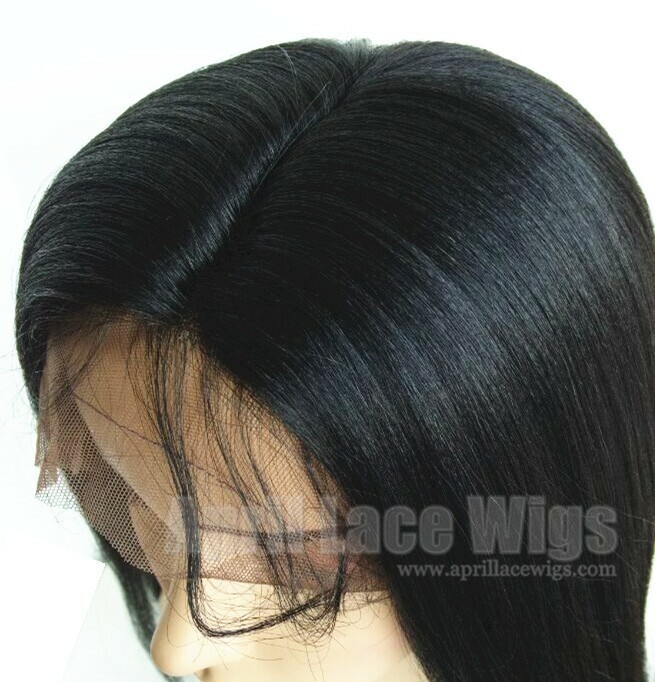 ...this a great wig....nice soft hair great silk yop with sclap like appearance.....only issue for me is that under two month the lace is torn or with holes in more than one spot.....makes me nervous to get another one. 2012-12-06 Arlene .... This unit is gorgeous!!! Very easy to manage even at a long length and curls wonderfully. Excellent job LWF! 2012-10-24 Andrea .... I just purchased my unit, about a week ago. I have to say , this is hands down, the best unit I have ever purchased. The silk top is perfect. It looks so real. I have been wearing lace wigs since 2008, and this is the most realistic unit I have ever purchased. The hair is soft, the knots were actually bleached like they said, the density is perfect. Thanks for making a great product. 2012-09-11 Chanti .... All I can say is OMG!!! I just received my order and it is AWESOME!! I was so afraid to spend so much money after recently being laid off from my job, so afraid that I actually placed an order with another company and about 5 minutes later saw a bad review on youtube and cancelled it before it was packaged. I also ordered a customer unit from Pink Lace Wigs last year $500 and it was HORRIBLE the customer service was even worse...ended up trashing it and vowing to never order a lace wig again. I am a bleached natural and wanted to cover my hair this winter and after all the research and youtube stalking I placed my order and I am SO glad I did! The hair is SO soft and light weight the silk top is the truth!! I can not believe it! I order 18in #2 and I am in love..trying to figure out how to pay for another one! Please don't ever change!! I am a customer for life!! Nowadays you just don't get this type of quality for this price! I am going to post my first youtube video using this wig!